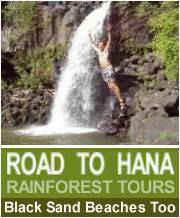 Depending on what kind of Hana adventure you're looking for, there is a tour for you! 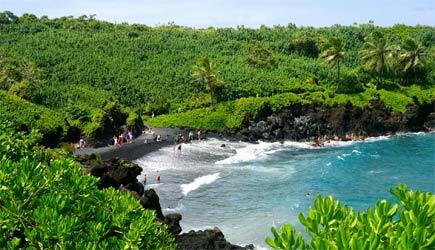 You can tour the most breathtaking drives on earth with Valley Isle Excursions, Maui's #1 Luxury Tour Company. 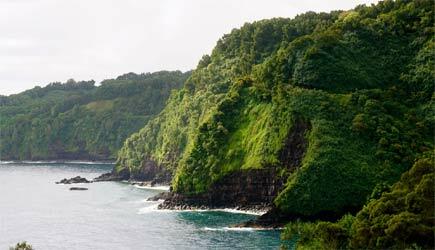 On your way to "Heavenly Hana," cruise through 617 curves, 54 one lane bridges, tropical rainforests, bamboo jungles, waterfalls, tropical streams and pools, spectacular cliffs. Valley Isle Excursions luxurious Comfort Cruies are air conditioned vehicles with ultra-comfortable individual reclining chairs. Their smaller vehicles allows for a more personal experience. 10-12 stops including the Keanae Peninsula, "Heavenly Hana" Town, Wainanapanapa State Park, Pools of Oheo (also known as the Seven Sacred Pools), Charles Lindbergh's Gravesite, the majestic gorges near Kaupo, the rugged lava coastline of South Maui, and views of "Upcountry" Maui. Pick up and drop off is included, as well as continental breakfast, picnic lunch, and compgreenntary beverage service throughout the day. The maximum tour size is 12 pax. Another great option for Hana is a Private Tour, and there are 3 great choices: Taste of Hana, Hana Bound, and All The Way Around. These tours meet at the Kahului Park & Ride. On Taste of Hana, highlights and stops include sugarcane fields, Paia town, Ho'okipa lookout, rainbow eucalyptus grove, bamboo thickets, Honomanu Bay, couple waterfalls including the large Waikani Falls, Keanae (an isolated native Hawaiian village, Ching's Pond(a fresh water pool with waterfall where you can swim if stream level permits, Wailua Valley, and the running coastline featuring bays, bluffs & cliffs. The duration is approximately 5-6 hours. Hana Bound has everything listed in the Taste of Hana, plus Secret Lava Tube (short hike with use of headlamps through the subsurface tunnel), Wai'anapanapa State Park, Pailoa Bay Black Sand Beach (swimming is optional, a blowhole, lava tube entering the ocean, fresh water sea caves (swimming optional), Hana Town, red sand beach (swimming optional), running coastline featuring many waterfalls, cliffs, bluffs and bays. 8-9 hours. Add ziplining to your sunrise adventure! 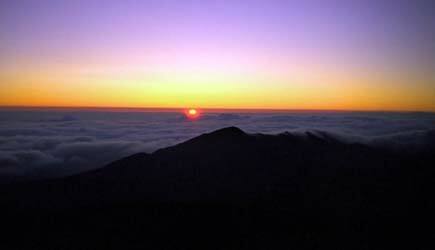 Begin you day watching the sunrise on 10,023 foot summit of Haleakala. 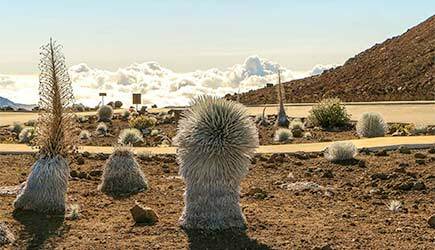 This can be a truly spiritual experience, and the panoramic views, nature in the raw, and the wonders of Haleakala National Park will leave you breathless! Along with the sunrise, you will have multiple photo stops at various overlooks. There are several experiences to choose from. Due to the high elevation, these tours are not recommended for anyone with breathing or heart problems. Also, no scuba diving within 24 hours of the start of any of these tours. 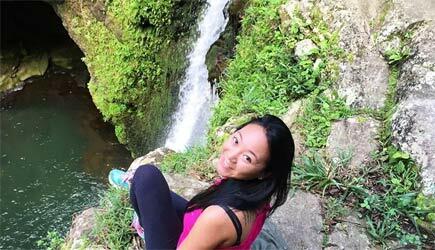 The Valley Isle Excursions Haleakala Sunrise Tour will transport you to the summit where you can watch the sunrise, and on your way down the mountain you will pass through upcountry Maui, and you'll also enjoy a delicious and authentic sit down hot breakfast. Pick up is between 1:15am and 3:30am range depending on your location, and return to your hotel is around 10am to 11:30am. Enjoy pre-dawn and after sunrise breakfasts at an upcountry restaurant. The summit conditions vary, and is much colder than at sea level, so you must dress warmly in layers. Temperature is often in the high 30's or low 40's before sunrise. 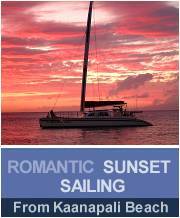 If you want to add more adventure to your sunrise, we have a couple of fun options for you. 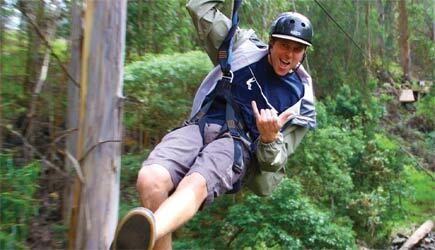 On the Haleakala Sunrise and Zip, you will be taken to a 5-line Haleakala zipline tour after you watch the sunrise. The course is located just outside the national park. Pick up at your hotel or condo is between 2am and 3am. The tour includes continental breakfast before sunrise, park entrance fees, and either breakfast or lunch wrap depending on the time of year. The tour is approximately 9 - 10 hours. Minimum age for this tour is 8; anyone under 18 must have a legal guardian present at checkin. Minimum weight is 60 pounds and maximum weight is 260 pounds. Pregnant women are not allowd to particpate on this tour as well as anyone with a history of neck, back, or joint injuries or chronic heart problems. You must be in good enough health to hike hike a 1/2 mile at elevation and over uneven surfaces. Along with ziplining, you can add biking to your Haleakala Sunrise experience. On the Sunrise Bike and Zip Tour you will bike down 21 switchbacks to the zipline course after you watch the sunrise. Pick up at your hotel or condo is between 3:15 - 3:45am, and this tour is approximately 10.5 hours. Minimum age is 12, and anyone under 18 must have a legal guardian present at checkin. Minimum weight is 60 pounds and maximum weight is 250 pounds. They recommend you have some recreational bike experience. Same restrictions and health requiremnets as the zipline tour above. 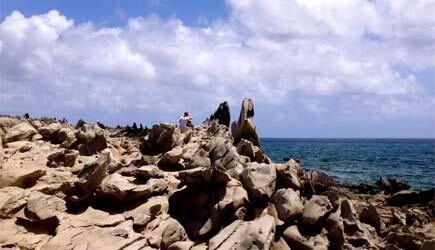 If 2:30am is too early for you, choose one of these tours that explore the Maui's significant cultural and ecological sites during full daylight hours. Due to the high elevation, his tour is not recommended for anyone with breathing or heart problems. No scuba diving within 24 hours of this tour. Temperatures at Haleakala can be below freezing, so dress in layers and warm clothing. 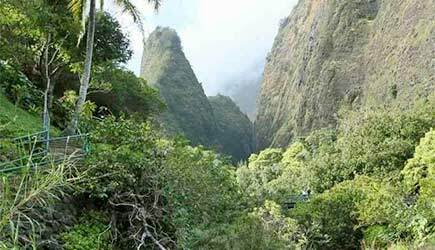 On the Haleakala, Upcountry, and Iao Tour you will also be taken to ʻĪao Valley, and Upcountry Maui. Pick up is between 6am and 7:15 am depending on your location. Two meals will be provided on this tour. Breakfast at 7:30am at Cafe O'lei (Maui Lani) and lunch picnic in the gardens at Lavender Cafe & Farm. The summit conditions vary, and is much colder than at sea level, so you must dress warmly in layers. Temperature is often in the high 30's or low 40's before sunrise. Haleakala Daytime Summit and Maui Wine Tour includes a continental breakfast before summit, park entrance fees, lunch at Ulupalakua Ranch Store, and MauiWine tasting and tour. 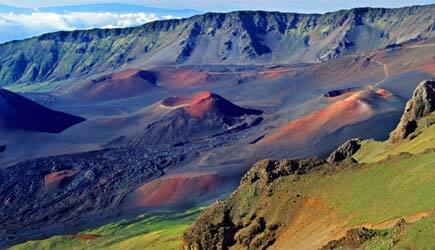 After Haleakala National Park, you will enjoy wine tasting and lunch. Pick up time is between 6am - 7am depending on your location, and you will return around 2pm. The tour is approximately 9-10 hours. Haleakala Daytime Summit, Lavender Farm and Makawao takes you to Ali'i Kula Lavender after you explore Haleakala National Park. After lunch (included on the tour), you can explore the beautiful lavendar grounds, gift store, or relax and enjoy the panoramic views. This tour will also bring you to Makawao, the historic paniolo (cowboy) town, where there are many unique art galleries and gift shops. Pick up is between 6am and 7am, and the tour is approximately 9-10 hours. 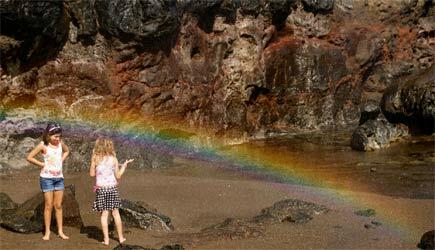 Take in the Westside of Maui with Holo Holo Private Tours. Highlights include Nakalele Blow Hole, Honolua Bay, Lahaina town, ʻĪao valley, Kahakuloa Village, Clifftop Gallery and tide pools! Flexible departure time. Morning Adventure is between 8am-9am and the Sunset Excursion is around 1pm. 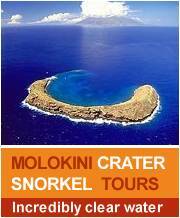 The tour is approximately 5-6 hours, and pick up available at most West Maui resorts. NCL cruise ship passengers are able do the Haleakala Sunrise Tours on their second day in port in Kahului. They will pick you up at the harbor. The Haleakala Tours can also work for Lahaina cruise ship passengers on their second day in port if your cruise ship is spending two days in Lahaina. They will pick you up at Lahaina Harbor. Pride of America cruise ship passengers are able do the Haleakala Day Tours on their second day in port in Kahului. They will pick you up at the harbor. All the Holo Holo Tours are flexible and can work with the schedule of cruise ship passengers. Van tours offer a nice advantage over driving around on your own. Many of the most scenic roads on Maui are rather narrow and winding with bridges that are only one lane wide. An experienced tour guide / driver who knows the road will ensure that everyone in your party gets to enjoy the view. Mini-coaches that these companies use sit higher than a regular rental car and offer superior visibility with oversized windows ... you'll see things looking over the top of the guardrail that you would miss if you were in a rental car. These vehicles are superior to a tour done in a bus (for obvious reasons) or a standard 14 passenger van that is difficult to crawl in and out of. Another advantage of the smaller vehicle with great visibility; don't be surprised if your guide knows your name by the middle of the tour. 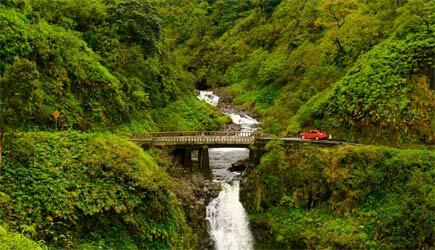 If you love to drive on curvy winding one-lane roads that you've never seen before, you might enjoy the drive to Hana! Go for it! Many people HATE the drive to Hana, but love the ride there. That's when a tour like Valley Isle Excursions is perfect. 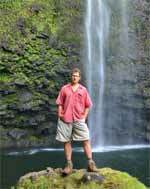 Their Hana adventure is really first quality ... the food is excellent, the ride comfortable, and the group is small. Ever been on a bus tour where one or two people were holding up a group of 55? That won't happen on smaller tours like this. It's a good choice. If you want to see a Haleakala Sunrise, don't forget about the downhill bike ride! They'll pick you up and take you to the summit in the middle of the night ... after watching the sunrise you coast 38 miles downhill with only 400 yards of peddling! If one or two people in your party don't want to ride the bike back down, they have a van rider rate. For more information on that, go to our Bike Down a Volcano page. If you want to watch a Haleakala Sunrise but no one in your party is interested in biking, then the Valley Isle Excursions trip is a good idea. 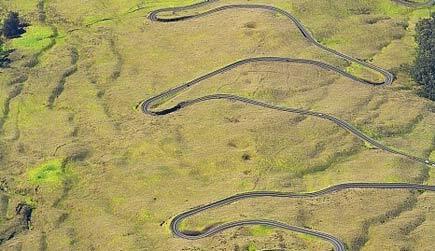 The road to the summit of Haleakala is not as narrow as the road to Hana, but there are hairpin turns ... LOTS of them. And driving it in the middle of the night in the dark can be a challenge. Actually, if you aren't properly rested, driving can be dangerous. Consider going with this tour ... you can rest your eyes on the way up instead of having to prop them open with toothpicks and getting white knuckles from holding the steering wheel too tightly. Temptation Tours are definitely on the pricey side, but they really are the best at what they do. They specialize in small groups and pampered service. If you wan to see Haleakala but the middle of the night pickup is not your style, Valley Isle Excursions also offers a very comprehensive Haleakala, Upcountry, and Iao tour. This one will really envigorate your senses as you spend an entire day at higher elevations of Maui where the air is incredibly crips..